This weekend's venues for silent film cover a wide range: a Catholic college in rural New Hampshire, and then a hipster brewery in urban Boston. 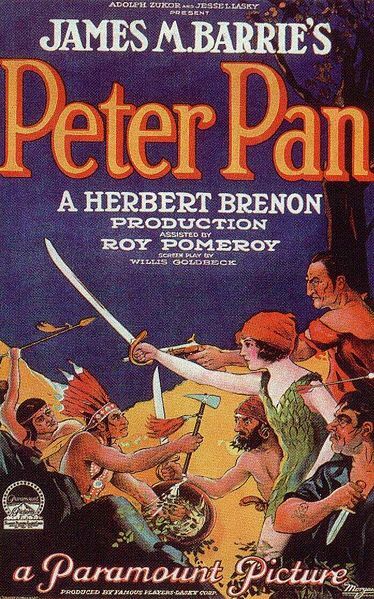 On Saturday night, it's Keaton's 'The Cameraman' (1928) at Northeast Catholic College way up in Warner, N.H.
And then on Sunday, it's the original silent film adaptation of 'Peter Pan' (1924) at the Aeronaut Brewing Co. in Somerville, Mass. Our part of New England is getting a good amount of snow now through Saturday. But that shouldn't impede this pair of silent film shows. One nice thing about this weekend's screenings has been the publicity. I always send out press materials, but you never know what will be used, and when, and how. For this weekend, I've lucked out with some good coverage. For the Keaton screening, the Concord (N.H.) Monitor, a highly respected daily paper, devoted quite a bit of space to this story. Thanks! 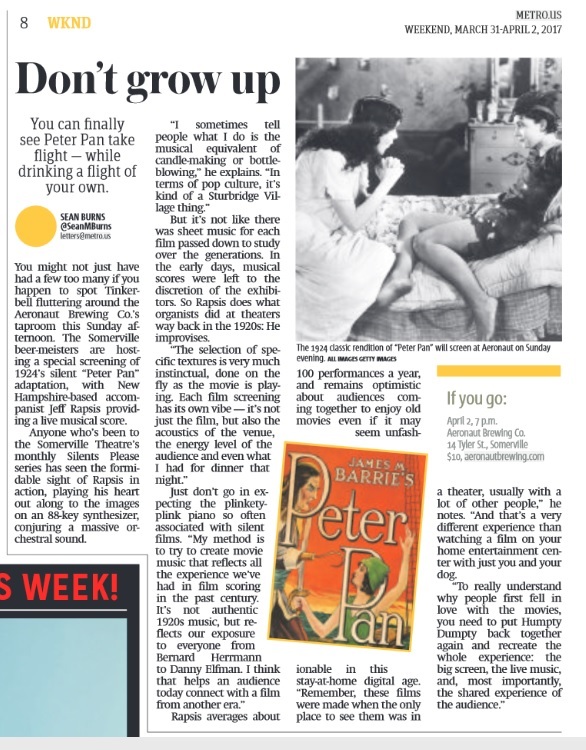 And for the Aeronaut 'Peter Pan' screening, writer Sean Burns did a great job pulling together a fairly lengthy piece, especially by Metro standards. So whether it's country-style silent film you crave, or if you prefer a more urban setting, there's something for every taste this weekend. Press releases for both films (with a lot more info) are pasted in below. See, I really do send out press materials! 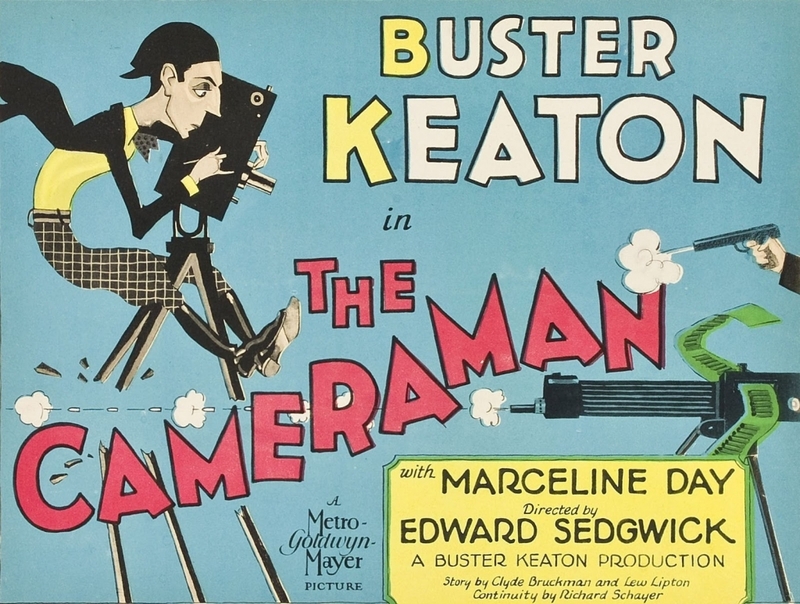 An original poster for Keaton's 'The Cameraman' (1928), running on April Fool's Day (Saturday, April 1) at Northeast Catholic College. WARNER, N.H. — Silent film with live music returns to the big screen at Northeast Catholic College in April with a showing of an acclaimed comedy starring Buster Keaton. Live music will be provided by silent film accompanist Jeff Rapsis. The program will include a short comedy, 'Cops,' also starring Buster Keaton. 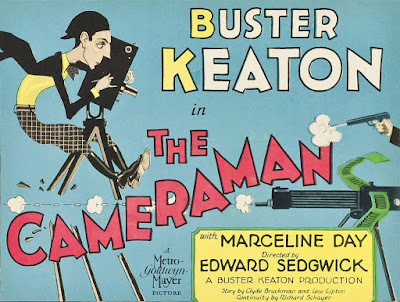 In 'The Cameraman,' Keaton uses the movie business to create comedy that plays with the nature of film and reality. The movie contains classic sequences often cited as among Keaton's best. 'The Cameraman' will be accompanied by live music by Jeff Rapsis, a New England-based silent film accompanist who performs at venues across the region and beyond. "So the screening at Northeast Catholic College is a great chance to experience films that first caused people to first fall in love with the movies," he said. Established as a residential, Catholic liberal arts college in 1973 and located in Warner, N.H., the Northeast Catholic College (formerly the College of Saint Mary Magdalen) seeks to call students to the life-long pursuit of intellectual and moral virtue through the rigorous study and discussion of primary texts and through its vibrantly Catholic student life. 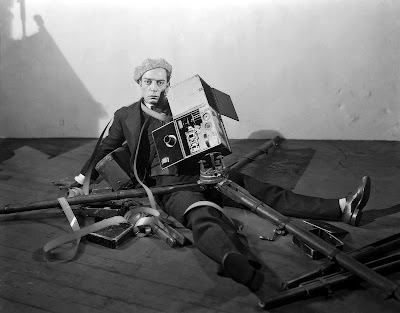 Buster Keaton's 'The Cameraman' (1928) will be screened with live music on Saturday, April 1 at 7 p.m. at Northeast Catholic College (formerly Magdalen College), 511 Kearsarge Mountain Road, Warner, N.H. Admission is free to students with a college ID; general public is $5 per person. For more information about Northeast Catholic College, visit www.northeastcatholic.edu/ For more info on the music, visit www.jeffrapsis.com. An original poster for the original screen adaptation of 'Peter Pan' (1924). 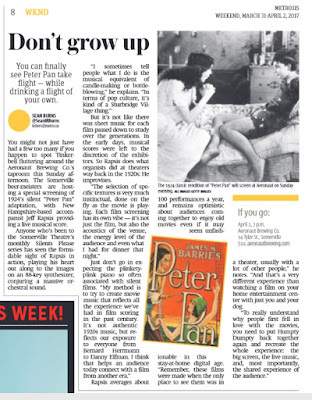 Movie fans can see for themselves when the first 'Peter Pan' (1924) is screened on Sunday, April 2 at 7 p.m. at the Aeronaut Brewing Co., 14 Tyler St., Somerville. The program will feature live music for the movie by silent film accompanist Jeff Rapsis, and will include a classic silent comedy short film. Admission is $10 per person. Tickets are available online at www.eventbrite.com; search on "Aeronaut Brewery." Betty Bronson in the title role. The screening is part of the Aeronaut's commitment to give local artists and audiences a chance to connect in the brewery's performance space. "If you can put all the original elements together, the films of early Hollywood still come to life," said Rapsis, who performs regularly at the Aeronaut. "These are the films that caused people to first fall in love with the movies." 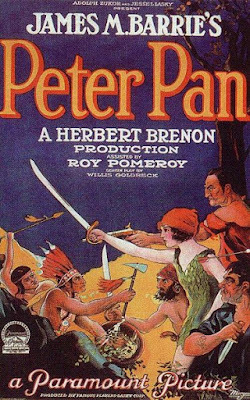 ‘Peter Pan’ (1924) will be shown on Sunday, April 2 at 7 p.m. at the Aeronaut Brewing Co., 14 Tyler St., Somerville, Mass. Admission is $10 per person. Tickets are available online at www.eventbrite.com; search on "Aeronaut Brewery." For more info about Aeronaut Brewing, visit www.aeronautbrewing.com. For more information about the music, visit www.jeffrapsis.com.